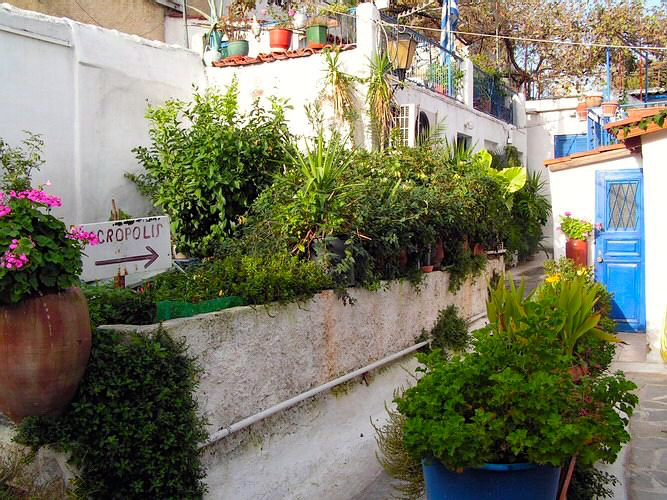 Anafiotika is the neighborhood directly below the walls of the Acropolis, just above the Plaka. The name comes from original inhabitants who were from the island of Anafi. It is like being in a small village on an island.